To get ahead, you need an edge—and if you don’t have one, you can make one. In the elusive pursuit of success, you need an edge, says Harvard professor Laura Huang, one of the top business school professors in America. Huang defines edge as “hard work, plus” and her talks illustrate how you can refine that “plus”—beyond talent, hard work, grit, and luck—as an individual, team, or organization. And if you don’t have an edge, you can create one, recognizing your strengths (as well as challenges) and leveraging them to your advantage. Huang’s talks show how you can make your hard work “work harder for you” by comprehending the factors that have little to do with your talent and effort—and everything to do with making the most of them. How can our paths to success be a little easier? We all have biases working for and against us, says Laura Huang—author of EDGE, a hotly-anticipated book on the subject—whether it’s born confidence, or a lack thereof; established networks, or no professional contacts to speak of. If we learn what these biases are, we can empower ourselves to create personal success. In short: we’ll find our edge. “Hard work suggests something internal, whereas edge suggests that it’s both within you and contextual,” says Huang. “You need to own the context and your hard work.” Named one of the 40 Best Business School Professors by Poets & Quants, Huang’s talks will equip you to know who you are and how to use that knowledge strategically. Drawing on examples from the likes of previously-overlooked Olympians to Louis Vuitton assistants-turned-executives, Huang teaches you how to find your edge and keep it. Huang’s groundbreaking research includes her work on “gut feel”—that sixth sense often written off as extraneous to success. In conducting dozens of interviews with investors and observing pitch meetings with entrepreneurs, Huang proved the vital role that gut feel plays in managing complexity and risk—and the difference between big wins and playing it safe. Prior to joining the Harvard Business School, Huang was an assistant professor of management at the Wharton School. Her research on gut instinct has been published in the Academy of Management Journal, Administrative Science Quarterly, and the Proceedings of the National Academy of Sciences, as well as featured in the Financial Times, The Wall Street Journal, and Forbes. Huang earned a PhD in management from the University of California, Irvine; an MBA from INSEAD; and an MS and BSE in electrical engineering, both from Duke University. Before entering academia, she held positions in investment banking, consulting, and general management for organizations like IBM Global Services and Johnson & Johnson, and served as an advisor to several start-ups in the US, Europe, Southeast Asia, and China. Conventional wisdom says that entrepreneurs are a breed apart, seeing the world in a unique way: an entrepreneurial mindset. But Harvard professor Laura Huang argues that rather than being equipped with some special psychological makeup, an entrepreneurial mindset is actually about creating opportunities and turning ideas into action—something that all companies and individuals can cultivate and use as a resource. In this immediately applicable talk, Huang will teach you to gain an understanding of how entrepreneurial thought and action can help teams and organizations create opportunities, more effectively marshal resources, and ultimately create and sustain value. What is “edge”? If you are lucky enough to have it, you are endowed with a unique advantage, says Laura Huang. You execute faster, are confident, have experience, seem to have an established network, and are so naturally positioned that others want to help you move forward. Your path to success is lubricated. It seems that folks like you were born on third base. In this talk, you’ll learn what do you do if you don’t have that natural edge—Huang will teach you. First, you can create one by recognizing the advantages you do have, and by using not only your strengths, but also adversity, hardship, and biases against you to work in your favor. This talk will help you create that type of edge. There’s a common narrative that “disruptive innovation” is best when launching products, unveiling strategies, and mobilizing resources. But what does “disruption” mean for an organization and its people, and how can we engage in disruptive work without it actually *being disruptive* to what we are trying to build? In this talk, Laura Huang discusses how “disruptors” who actually think about themselves as “builders” are able to unlock and create the most value for their organizations. 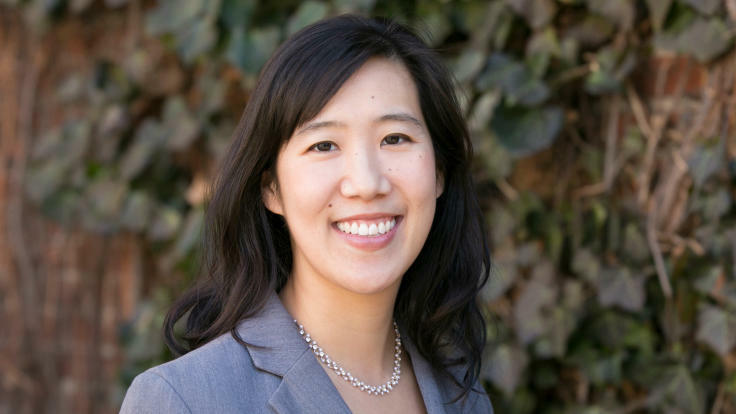 It’s one of the most polarizing pieces of advice that we hear: “Go with your gut.” In this talk, Laura Huang discusses her research on decision-making in organizations, and why the question shouldn’t be about data-driven decisions versus gut feel-based decisions. Instead, effective organizational outcomes are the result of understanding the set of rules that are inherent in any complex decision—which dictate whether more data actually helps us make better decisions. Want to Make Your Hard Work Work Harder? Harvard Business School Professor Laura Huang Says You Need to Create an Edge.